**Lease payments calculated based off of a 39 month lease with 10,000 miles per year,10% of the MSRP is down payment. No security deposit required, with approved credit. Extra charges may apply at lease termination. Plus first month’s payment, $700.00 bank fee, $126.00 electronic title, tax, and state fees with approved credit through INFINITI Financial Services. See dealer for complete details. Expires at month end. Your hunt for new, used and certified preowned INFINITI vehicles ends at Berman INFINITI Chicago. We’re sure you’ll find the vehicle of your choice in our stock! Not sure whether to lease or buy?We offer multiple financing options and the experts at our in-house financing department will help choose the most suitable financing option for you. At our Chicago INFINITI dealership, we strive hard to ensure that your purchasing experience is as smooth and hassle-free as possible. So what are you waiting for? 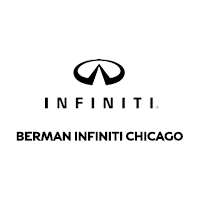 Visit BERMAN INFINITI CHICAGO today!